This little dude's family moved overseas, and despite trying everything they could, they simply could not bring him with. He's had a very loved life, and they wanted to ensure that he would be loved and cared for in years to come. And so we welcomed Sake into Young at Heart where he would be safe and loved until we can find him a loving family to share his golden years with! 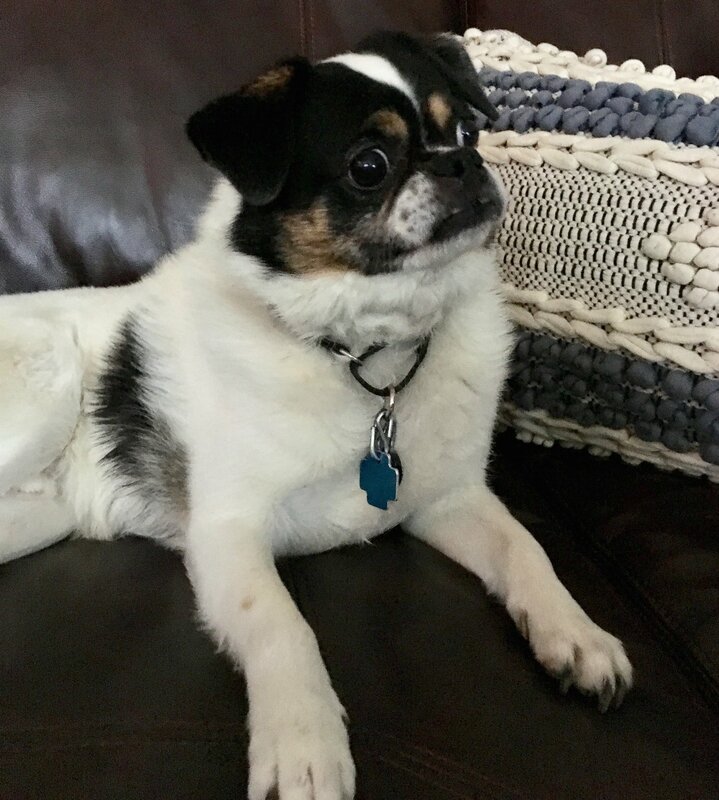 Sake is a 12 year old Japenese Chin mix with no special needs. He's good with mellow dogs and cats and is housebroken. He's really enjoying having a canine buddy in his foster home, so a home with another dog that would enjoy a good dog friend would be great. He enjoys kitties, too!